So what do you get for making it through the first 5 tips? Five more tips of course! Our previous tips focused on cutting and weeding while the following are all about heat application. Keep reading to make sure you’re using the methods the experts recommend! A wrinkle and moisture free fabric allows for the best adhesion between the garment and HTV, as well as a nice and smooth finished look. Pre-shrinking the fabric is especially important when working with 100% cottons since they tend to shrink the most. When you can, opt for a blended t-shirt fabric to lessen the likelihood of a shrunken shirt and wrinkly vinyl. However, there are some rare instances that a pre-press is not needed. If you’re working with a highly heat sensitive fabric, like some types of nylon, then a pre-press may harm more than help your project. Additionally, a pre-wash is not always necessary either. If you prefer to wash your blanks, make sure to steer clear of liquid fabric softeners which leave behind a HTV repelling residue. Heat Transfer Vinyl needs the combination of heat + time + pressure to equal a long-lasting application. Unfortunately, when pressure gets dropped from the equation the heat transfer vinyl usually drops off the shirt as well. 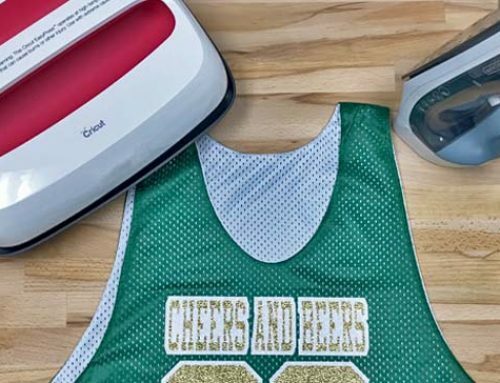 When using a Cricut® EasyPress™, the pressure is only regulated by how much force you manually apply throughout the whole application time. 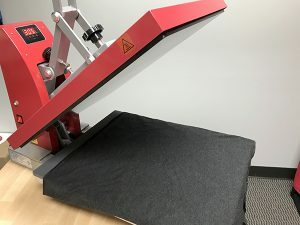 Whereas a heat press can be adjusted to accurately and evenly press more (or less) firmly, and all you have to do is pull the handle down once. 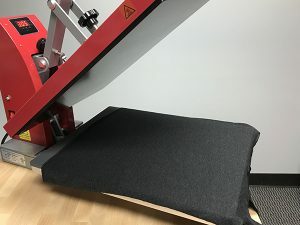 Check out this video for more tips on pressing with a home iron, EasyPress, and heat press! Keep in mind that while firm pressure is great for Stretch, it’s not necessary for every type of heat transfer vinyl! The weave or texture of the garment does not need to be seen through the HTV to indicate a good press, and in some cases (like Glitter and StripFlock®) it’s simply impossible because of their texture. Additionally, a clear adhesive halo around the HTV is not a sign of a proper press. The more adhesive squished to the side of your vinyl means the less that’s underneath bonding the vinyl to the fabric. In these cases, you may actually need to decrease your pressure. Check out the following video for more details on pressure! Quick, short presses are best when it comes to layering multiple colors of HTV. When you use this method, we call it “tacking” because you’re giving the material just enough heat and pressure for it to bond to the fabric and release from the carrier. 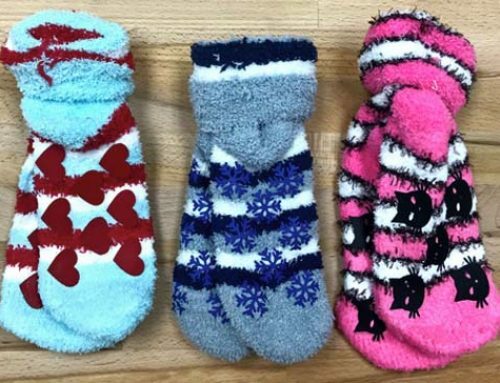 As each new color is heat applied, the lower layers also receive heat, so by the end of the whole process each layer has had between 10-20 seconds of heat and pressure. This is the sweet spot to aim for because you can have too much of a good thing! 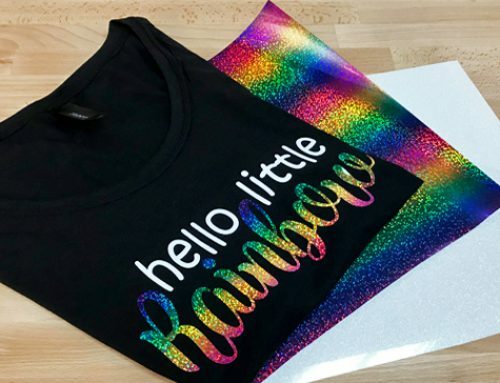 Adding more and more pressing time to your design is going to begin to dry out the HTV, which makes it more susceptible to cracking and peeling. For most Siser materials, a 3-5 second press is enough to tack a layer down, but with products in the EasyWeed family you can get away with a 1 second tack! 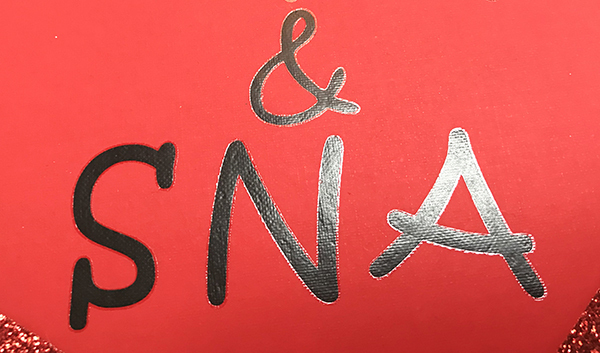 Mixing and matching different types of heat transfer vinyl often creates some of the coolest looks. Many people get excited while creating and cutting their artwork, but when it comes to heat applying they’re nervous to bring the handle down. When in doubt, set your heat press for the HTV in your project that calls for the lowest recommended temperature. Then work your way from the thinnest material (like EasyWeed Stretch) to the thickest material (Brick™ 600.) You may need to adjust your pressure along the way, especially if you use a heat transfer pillow. If any of the HTV still wants to grip the carrier instead of the fabric, you may need to increase your pressing time by a few seconds. Want to see how this beast was made? Watch the video here! It seems that the most popular fabrics these days are also the most heat sensitive! Some polyesters, rayon, modal, tri-blends, nylon, and others can have a negative reaction to heat. In these cases, our standard recommended heat settings (typically ranging from 305°-320°F and pressing for 10-15 seconds) could result in heat marks, scorching, or melting. 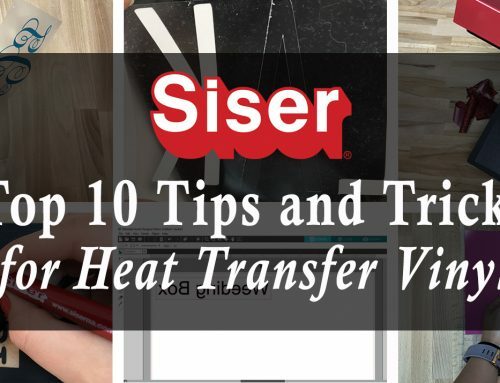 But when you use Siser HTV there’s no need to worry! A couple adjustments to the heat application proces are all you need to prevent problems! You can see where the heat press came into contact with the fabric by the shiny heat mark around the HTV. To use the lower heat application method, turn the temperature down to 280°F and press for 15-20 seconds. When you use a lower temperature you must make up for it by increasing your pressing time. See this process in action in the decorating rayon with EasyWeed Stretch blog post. Want to know more about possible heat sensitive fabrics? See this post for 4 more decorating tips. Ten tips later and you’re an HTV expert, right?! If anything, you’re at least well read! But a true HTV expert practices with their tools of the trade. So it’s time to take everything you’ve learned and apply it to your next project! We’d love to see what you make whether you tag us with #siserna on Instagram or show it off in our Facebook Group: Siser N.A HTV &EasyPSV. Keep every tip handy by pinning the image below. im ironing glitter onto silk like capes. do i need a towel in between the vinyl and iron? what should i use? Hi Renee! I’d recommend using parchment paper in between the heat transfer vinyl and the iron. 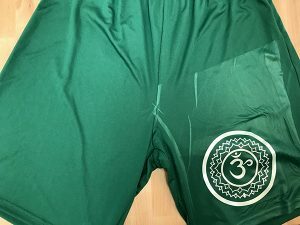 Additionally, you may want to read these tips for applying to heat sensitive garments and use the lower temperature application method mentioned. 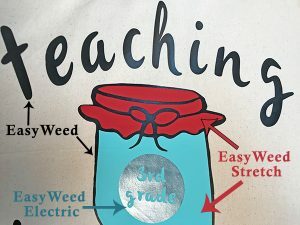 Lets say I’m making a shirt with easyweed and glitter. It’s not layered. Do I press this design all at 320, 15 seconds? I was worried about the temp being higher than recommended for regular easyweed? 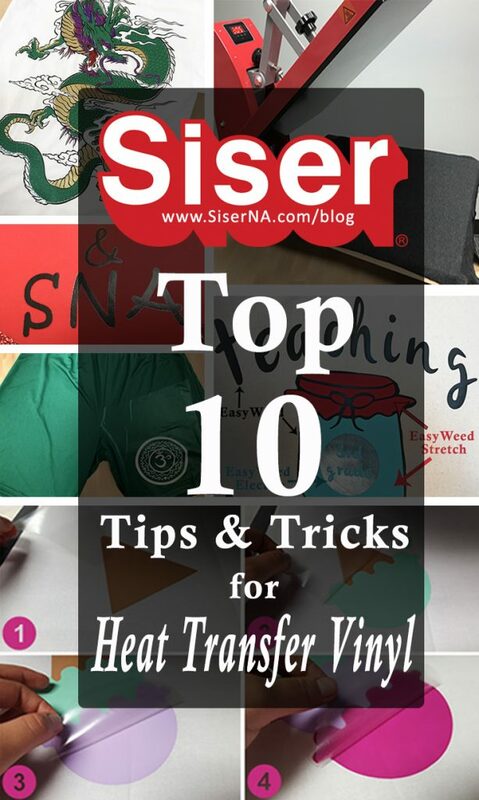 I’m new to vinyling and am nervous about pressing or layering different vinyls with different temp times. Thank you so much. Hi Christie! Although 320°F for 15 seconds likely won’t harm EasyWeed® (HTV can be applied in a range of temperatures.) When layering HTV, a good rule of thumb is to use the lowest temperature called for. In your case that’s 305°F for EasyWeed®. I’d suggest pressing for 15-20 seconds. Good luck! do you have pint and scan htv for ink jet printers? Thanks for reading the Siser Blog, Robin! We do not offer inkjet printer HTV. The Print and Cut materials we offer are only compatible with eco-solvent, solvent, and latex inks. Hi! I just tried easy weed stretch on a shirt that has 95% rayon and 5%spandex. I used 280 degrees. It didn’t stick to the fabric no matter how long I pressed or how much pressure I used. I even switched to an iron at one point! Nothing worked. Do you have any ideas as to why and what I could do next time? Hi Diana! Sorry to hear of your troubles! EasyWeed® Stretch requires firm pressure. I’d suggest increasing your pressure and using a heat transfer pillow to ensure you’re avoiding problem areas like seams, buttons and zippers. You may want to check this blog post out for more tips on pillows and pressure. I used Siser Stretch Heat Transfer Vinyl on a s shirt. It came out great except I forgot to weed two small tear drop shapes. Then I used a small iron and was able to remove them. In doing so, I have a few tiny wrinkles. Is there any was to get rid of wrinkles? Hi Mary! 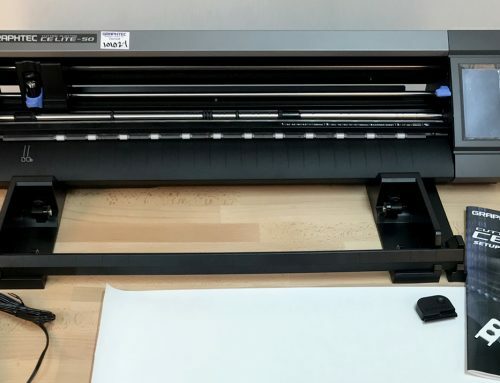 If you put a heat transfer cover sheet or parchment paper back on top of the HTV and press the wrinkled area for 1-5 seconds, that should smooth things out. 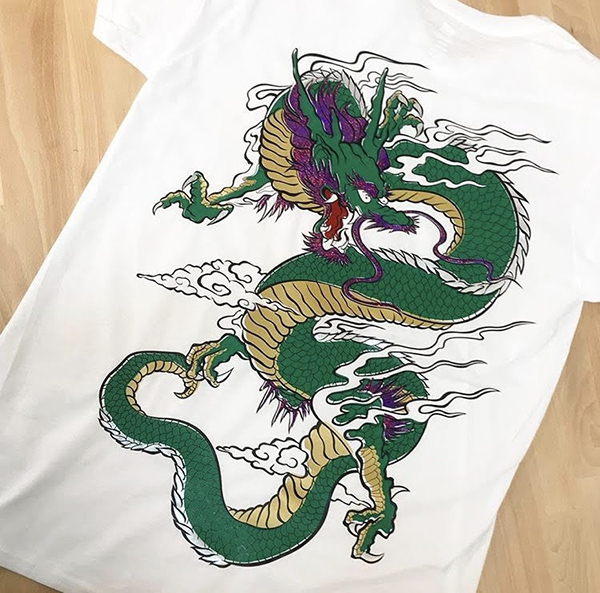 I have some polo shirts 60% cotton & 40% Polyester, what temperature and pressure would I use with Siser Easyweed for a 2 colour (not layered) application (I will have to press them in 2 separate presses). Thank you so much for your informative videos and tips! Hi Michelle! For a cotton/polyester blend, you can use the standard time: 305°F and medium pressure. Since you have to do 2 presses, I’d recommend tacking the first color for 1-3 seconds and hot peel the carrier. 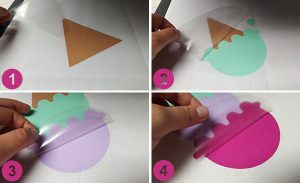 If the second color can be placed without the carrier overlapping the first color then you can do a full 10 second press. If the carrier does overlap though, I’d recommend tacking the second color for 1-3 seconds and then covering everything with a heat transfer cover sheet and pressing for a final 10 seconds. This will eliminate any carrier creases on the first applied color. I have a neon cad flex heat press vinyl and its not sticking to my shirt. the temp is on 305 , 15 second duration with medium pressure i dont know what to do. Hi Johnathon! When the application temperature and time are correct, we often find there’s a pressure problem. I’d suggest using a heat transfer pillow inside the shirt to create an even pressing surface. This video explains more about using pillows. Additionally, please note that CADflex is a cold peel, so if you remove the clear carrier while it’s still warm, you may experience lifting HTV. What about 100% cotton t-shirts that say they are pre-shrunk, do they need pre-washing? Hi Karen! It’s not necessary to pre-wash shirts before applying HTV. However, we do recommend pre-pressing the garment for 1-5 seconds before applying the HTV. A pre-press removes wrinkles and lingering moisture in the shirt so it can create a better bond with the adhesive on the heat transfer vinyl.